If you’re overdue for some new tires, Walmart’s Black Friday deals include some solid, <ahem>, rollbacks. The deal most of you will be interested in is the Goodyear collection, which is basically a flat $20 off each individual tire. There aren’t really any performance tires in there, but there are lots of solid all-season tires, and pretty much everyone has a Walmart nearby for installation. 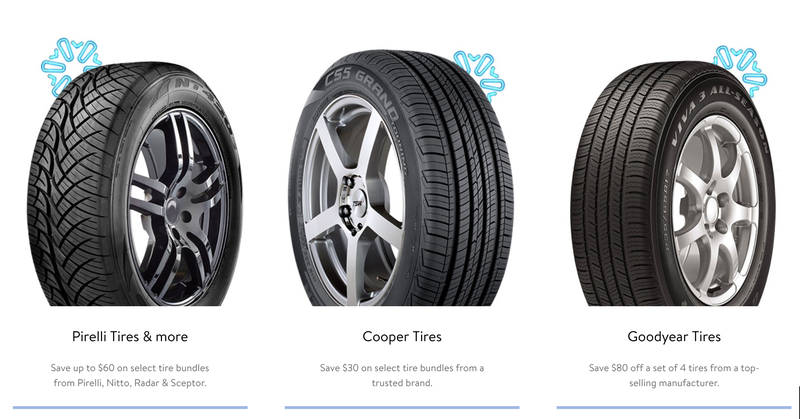 If you want higher performance tires, you’ll want to check out the Cooper and Pirelli sections, which offer up to $60 off a set of four (the Coopers are sold in pairs for $30 off, the Pirellis are sold four at a time for $60 off). While those deals lag behind the Goodyears in raw dollar figures, they’re still a solid deal on higher-end tires, with no annoying rebates necessary.